Extends up to 25 ft. The Seco SVR 25-Foot Fiberglass Grade Rod is dual-sided with inches/eighths on the front and inches/tenths on the back. And while this grade rod extends to 25 feet, it also collapses to 58.5 inches for easy transport or storage in its included carrying bag. As part of Seco’s SVR leveling rod series, this grade rod is constructed of rigid fiberglass stabilized with ribs. 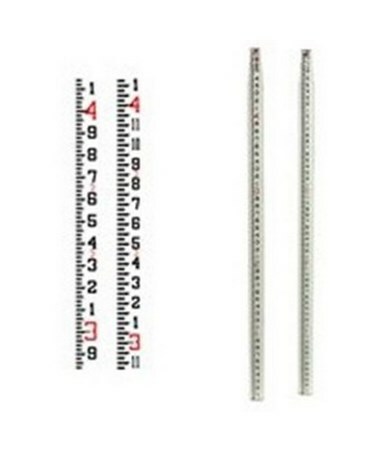 The SVR leveling rods also feature jam-resistant buttons that lock out damaging agents like sand or dirt. This six pound, rectangular-oval shape rod is also waterproof and resistant to everyday wear and tear. Plus, it is non-conductive, which means it will not conduct electricity during a thunderstorm or in other potentially hazardous conditions. With a 1/4 x 20 female adapter in its top section, surveyors can easily attach accessories onto this leveling rod. Along with the grade rod, you will also receive a soft carrying bag and 1-year warranty. 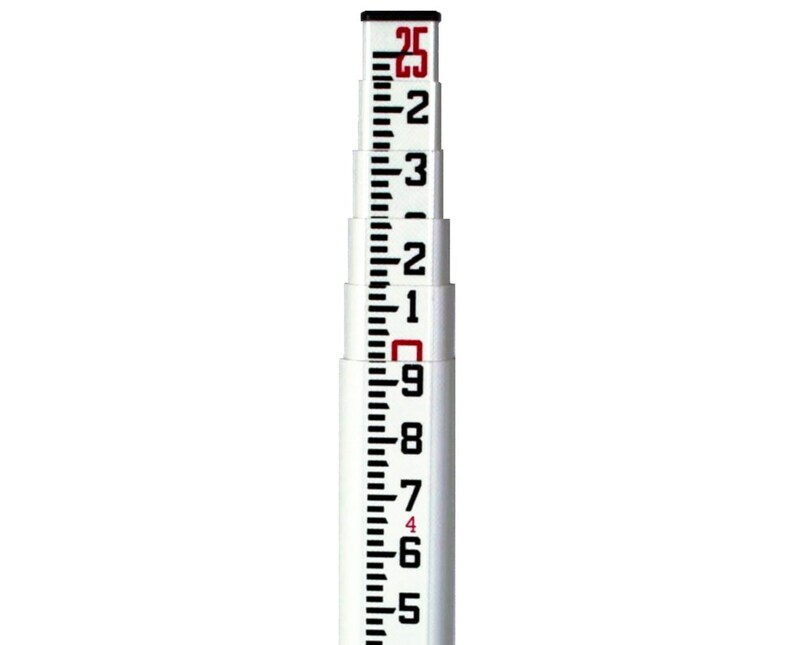 The Seco SVR 25-Foot Fiberglass Grade Rod comes in three graduations of measurements. Choose your preference in the drop-down section above. 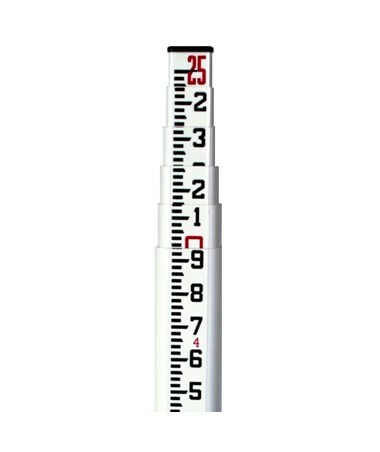 Extends 58.5 in. to 25 ft.